Have you ever worn one of those weight-lifting belts and cinched it up nice and tight? It gives you a feeling of stability and strength. That's what truth does. It strengthens us at our very core. Maybe that's why the Bible calls us to put on the "belt of truth!" First, we need to take time to know the truth. God has revealed His truth to us in Scripture. When you know the truth, lies are obvious. That comes through a lifelong discovery of truth in His Word. Secondly, take your thoughts captive. This is the dynamic of getting Jesus involved. How? If we have a thought and wonder if it's a deception, we present it to Jesus and ask Him, "Jesus, I just had this thought. Is it a lie or Your truth? Open my eyes to Your truth." And by His Spirit He will, and He will confirm it according to the principles of Scripture. Thirdly, take your thoughts to community. One of the great joys of living in a community that believes the Bible is that we can sit down with one another and we can say,"Hey. Here's what I'm thinking. Does it sound like a lie to you or does it sound like the truth?" And sometimes just by verbalizing it, before we're even done saying it, we know it's a lie. It's obvious. So where are you today? Is there someplace you are teetering between Truth and lies? Cinch up that belt of Truth! Lord, I pray that You would strengthen me with Truth today. Bring to mind the Bible passage you want me to focus on. Strengthen me with it, protecting me against the lies of the enemy. I bring my thoughts to You now, to be taken captive by You. Thank You for the brothers and sisters around me who are honest and wise. Use them all to lead me in Your everlasting ways. Amen. Get real answers to your toughest questions! 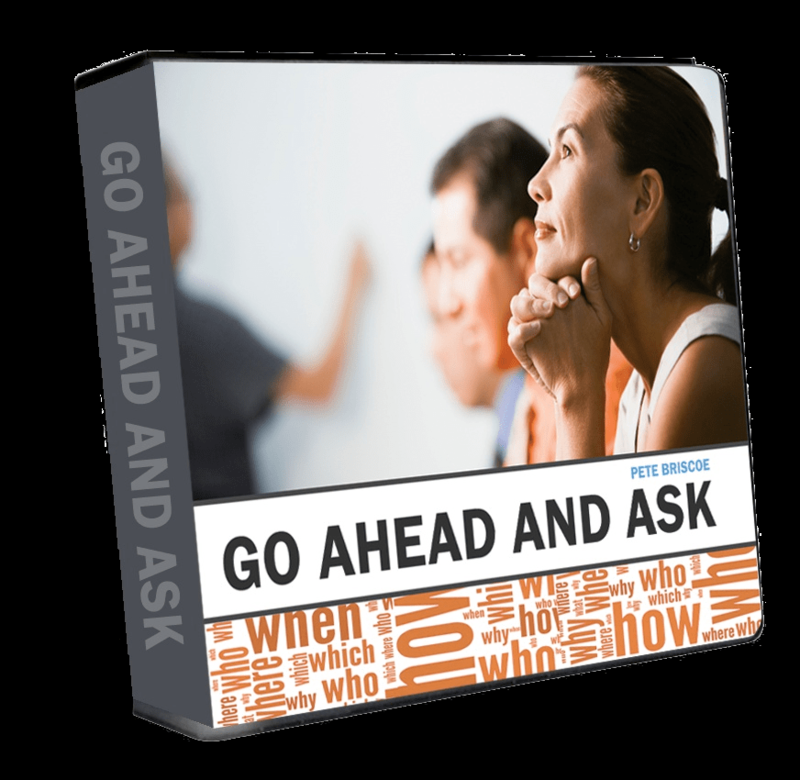 Pete Briscoe’s 7-message Go Ahead and Ask CD and DVD series gives you the confidence you need to ask the burning questions that Christ is eager to answer. Request your copy today!